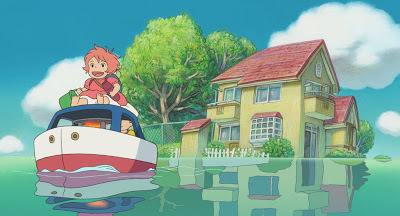 I realize I haven't written anything about Ponyo in a couple days, so in order to keep our attentions on the movie, I wanted to share a couple thoughts about one of my favorite scenes. I've written before that Hayao Miyazaki's brilliance, among many other things, lies in showing the magic and wonder of the everyday world. Ponyo demonstrates this beautifully. 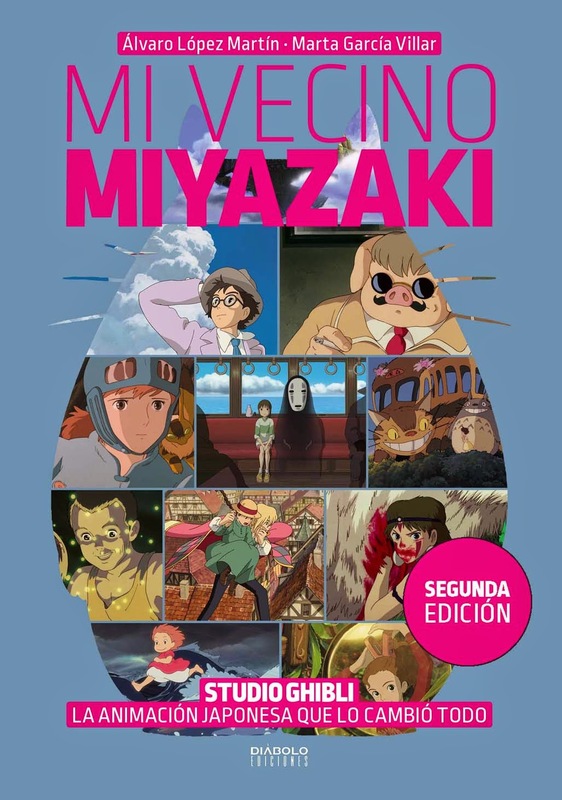 While Westerners often think of fantasy as an escape from reality, Miyazaki's stories join the two together; he looks at the world through the eyes of a curious and imaginative five-year-old. 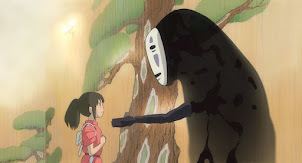 John Lasseter speaks about the need for pacing, and Miyazaki is a master of this. Far too many Hollywood movies are content to punch you in the stomach and beat you senseless with wall to wall action. But the result is like splattering too many watercolors on your canvas - everything turns to mud. You can't run at full volume all the time. There needs to be some silence. I think that's why these scenes, where Ponyo visits the home of Sosuke and Lisa, are so enjoyable. They allow us to calm down and relax after that spectacular sequence of Ponyo's escape and the tsunami she unwillingly unleashes. It's like George Harrison's "Here Comes the Sun," which begins side two of Abbey Road. After John Lennon's heavy metal assault, you need a breather. I've said that Miyazaki shows us the magic of the everyday world, and here we are, watching Ponyo experience the joy of cooking. 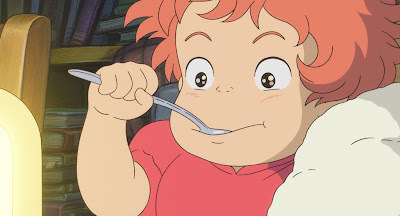 Watch Ponyo's discovery of honey in her hot chocolate. She's never seen anything like this, and her face just lights up. I was so impressed that as soon as I got home from the theater, I walked down to the supermarket and bought some hot choclate and honey. Lemmie tell ya, hot chocolate and honey is a killer combination. 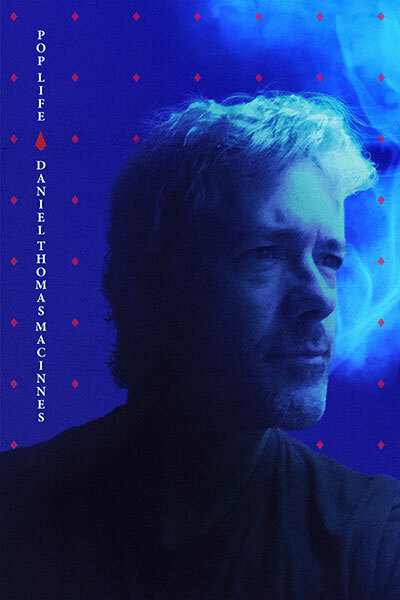 If your heart won't allow you to drink coffee anymore, this will give you a pretty good rush. Too bad the honey melts so fast - I wanted to have some honey on my spoon. Ah, well, live and learn. Now watch as Lisa prepares the ramen noodles. This is pure magic. Pour in the hot water, cover the bowl, wait three minutes. Now cross your fingers, kids...ala peanut butter sandwiches! With the magic words, we have turned the crunchy noodles into ramen, ham and vegetables. A small child has no clue how this was created. It just happened by magic. 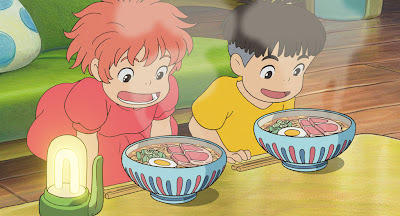 The ramen is no different from Fujimoto's elixir jars, or Gran Manmare's swimming through the ocean, or Ponyo growing chicken feet and turning into a girl. It's all the same. 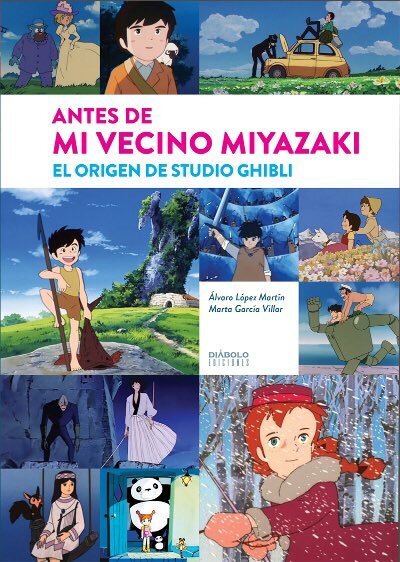 This is the real meaning of Miyazaki's magic. It's not literal or rational, but instictive, emotional. This is the perfect mode of expression for the symbolic icons of animation. Could these scenes have the same appeal with live actors? I doubt it. I don't even think you could pull this trick off with computers. You need the pencils and paints to achieve this illusion. I think it was hot milk and honey - which is a killer combination too! Well, I used hot chocolate, but that works, too. Yeah, I thought it was hot milk and honey too, something I had never heard of, yet what could be simpler. I immediately went home, warmed some milk, mixed in the honey and it was amazing! I can't believe I never thought of it before. I now also eat ramen with ham gleefully. But I'll have to try the hot chocolate with honey. Yum! Hot chocolate, milk, tea-- anything is better with honey! 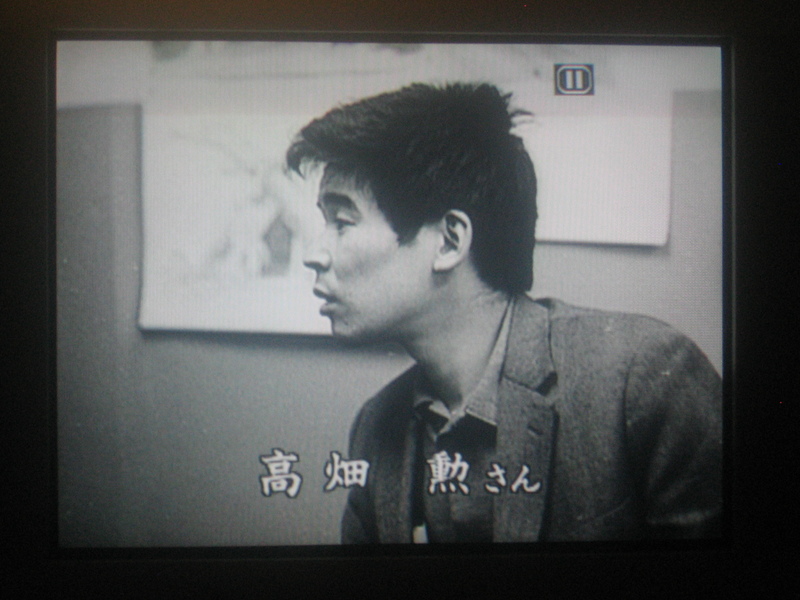 I love these quiet, savory moments in Miyzaki's movies. It reminds us how wonderful the simple pleasures in life can really be, especially when we look at the world with fresh eyes like Ponyo. I wish I was better at renewing that sense of discovery in myself. That's why scenes like this make me feel so emotional and nostalgic. I'm definitely gonna have to get me some cocoa/milk/tea with honey sometime soon. Great post! 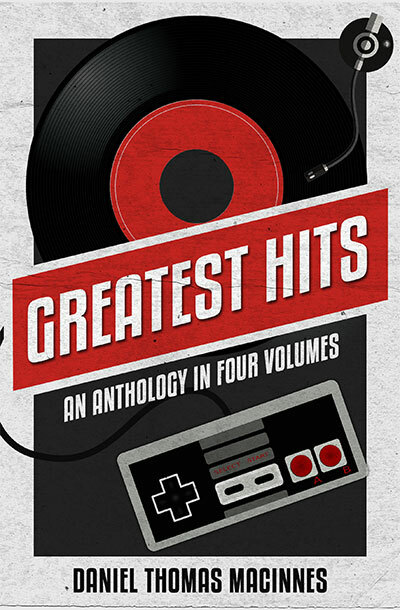 You can uncover these thrills in life. You just have to dig around for it. That's the trick. If you work hard and keep an open mind, you'll always find that thrill made new, like Dorothy opening the door to Technicolor Oz. I've been on this trip since I was 18 years old. Believe me, these discoveries are out there. That's why this blog exists, really. Well, not that it matters that much, but in the japanese version it's definitely tea! Thanks for the blog info, Tanuki-san. Anon, you're probably right about it being tea. But I still went to the supermarket for hot chocolate, and I think that works better. Little kids would agree with me, heh heh. Hot cocoa and honey is quite the sugar rush. Now I wanna try that, hot chocolate and honey.. I just want to say I'm glad I found this place. 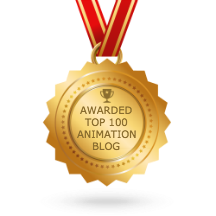 I'm not very much into the whole 'blog' thing, but there's such enthusiasm here for good animation. 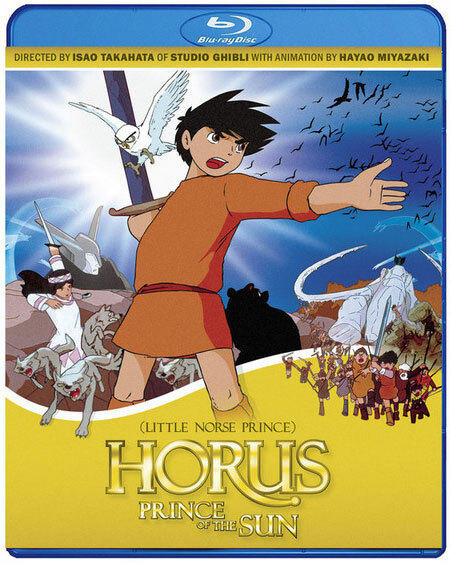 Many people seem to praise Ghibli, but not many seem to actually discuss the films in detail or say why they like them. And little, magical moments like this are good to hear from other people, and those pictures from the film look wonderful. 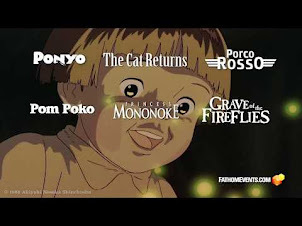 I haven't seen 'Ponyo' yet, but I've wanted to. You've made me want to see it even more. Ponyo will cross 10M today, probably end up with around 1.6M - 1.7M this weekend. A drop of only around 700k- 800k from last weekend. Have to get myself one of those domburis as well if I want to enjoy my ramen this way! @geoff: Great news! Today's turnout at Edina Lagoon was quite excellent, a major surprise for me. I haven't been able to check Box Office Mojo all weekend; their site is massively buggy on my computer and nothing will load. But I'm interested to see the weekend numbers. The photos and the reviews at the end gotten me really hungry:p.
I love this post, and love the way that you've written about Ponyo. I entirely agree that in Ponyo, the beauty of every day things is shown to be wonderous and amazing. 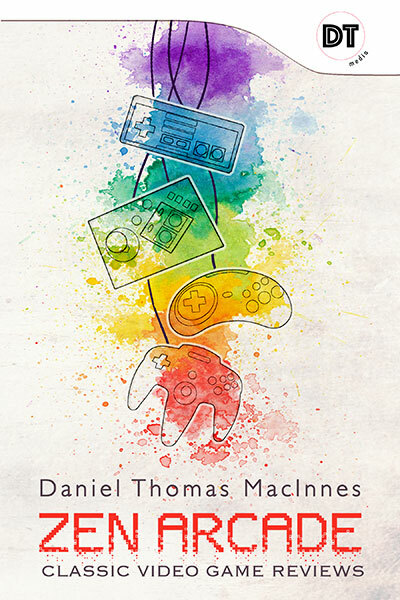 I think it is a SWELL idea to make this! Some people think it is tea or milk with honey but is really hot chocolate with honey. 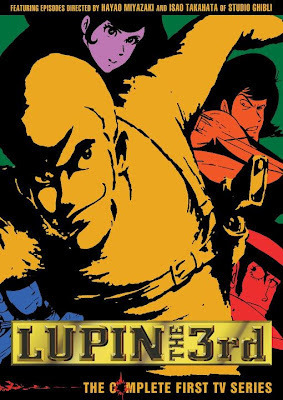 Making that would be a PERFECT for movie night, and what's the movie of choice u ask? It's PONYO! !